How can we develop individuals’ mindsets and capabilities to unlock, create and capture value so they can apply it to their life and career? We know you have the ambition and focus to achieve success and tap into a network of amazing people who are, founders, managers, students, executives to advance, empower and connect. It is through your lived experience that you will be able to provide support along the 12-week interactive journey to help your Mentee unpack their greatest asset – themselves! We have created a Community of Practice with weekly activities to keep you and your Mentee engaged throughout the process and connect with the greater cohort through shared learning and reflective practice. The success of this program is built with your passion, generosity of time and spirit. In addition to helping individuals develop and succeed, you will also have a great time connecting with like-minded professionals who are passionate about fostering and developing others. After completion of the workshop, there will be moments to come together and connect as well as share your stories and journey with a concluding breakfast event. Note: Signing up for the Workshop means you agree to participate as a mentor in the program either this session or future sessions. You cannot take part in the program unless you complete this workshop. Once you have registered an email will be sent to you with a link to complete a simple Questionnaire to assist us in the matching process. See further details of program outline and commitment here. 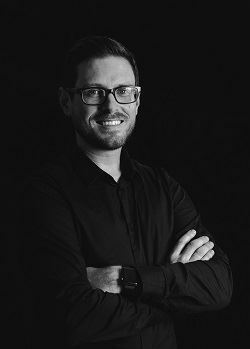 Michael Eales, Partner - is an experienced strategy designer with 15+ years experience applying strategic foresight and business model design at the front end of complex innovation projects. Michael draws on a background in economics, information technology, banking, investment and insurance services. As a strategy designer and Stanford Certified Project Manager, his interests in design thinking and systems thinking have been applied to complex client projects in public policy, financial services, legal services, consumer goods, media, tourism, telecom, manufacturing, healthcare and education. He regularly works with venture-backed startups through leading accelerators and incubators. Complimenting this work, Michael is a regular key note speaker on potential futures, and has taught courses, facilitated workshops, and judged competitions at a number of institutions and organisations.